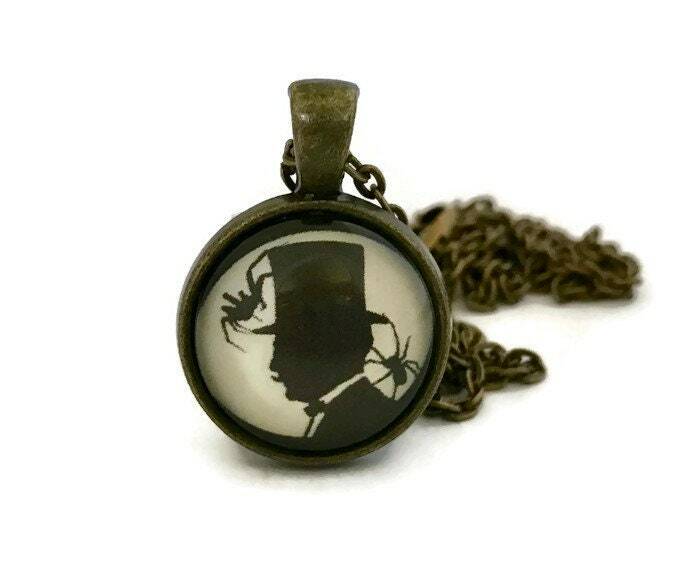 This gothic necklace features a spooky victorian silhouette of a man with a top hat and spiders on his head. A great necklace for Halloween! This pendant is made using high quality art paper. The image is protected with a layer of resin and domed glass. The chain is bronzed metal and 24" in length (which can be shortened if desired) with an easy to use lobster claw clasp. The pendant is 20mm, slightly smaller than a quarter (see final photo for size illustration).